The 50 Combo is inspired by the famous model 1987 from the late plexi/small box era. Employing solid state rectification to push a pair of EL34’s with adjustable fixed bias brings a loud and bold tone that is easily manipulated with your instrument’s volume control. Two channels internally jumped with a shared E.Q. and a custom designed WGS speaker bring all the tones and textures associated with Kossoff ,Page ,Angus, Hendrix, Clapton and Beck. Loud enough for the club and manageable enough for the studio, the NARB Lead 50 boasts two channels which are internally linked to achieve the traditional “jumped” channel effect right out of the box. In addition to high and low treble inputs for each channel, there is a shared three band EQ section, allowing you to hone in your unique sound. 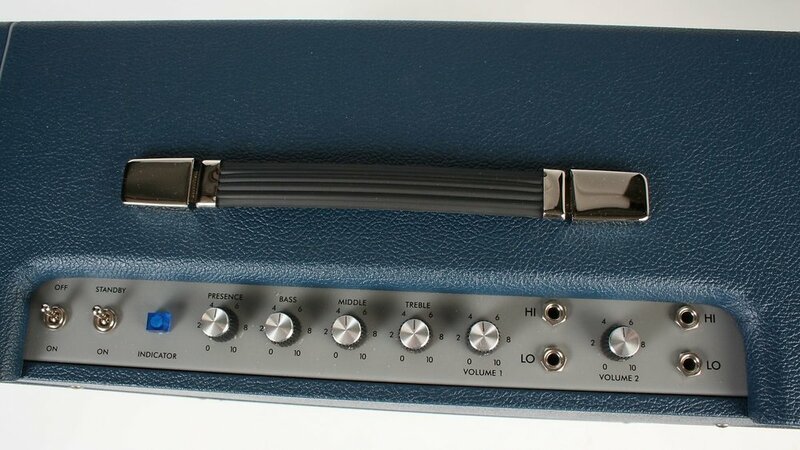 Like all NARB Amps, the 50 Combo is comprised of the highest quality components available, and are assembled completely by hand in Detroit, USA. From Sozo and Sprague Atom capacitors, to carbon film and carbon comp resistors, to custom spec transformers from Heyboer, every single part is hand selected with quality in mind. The NARB 50 Combo has been specially designed with portability and functionality in mind. 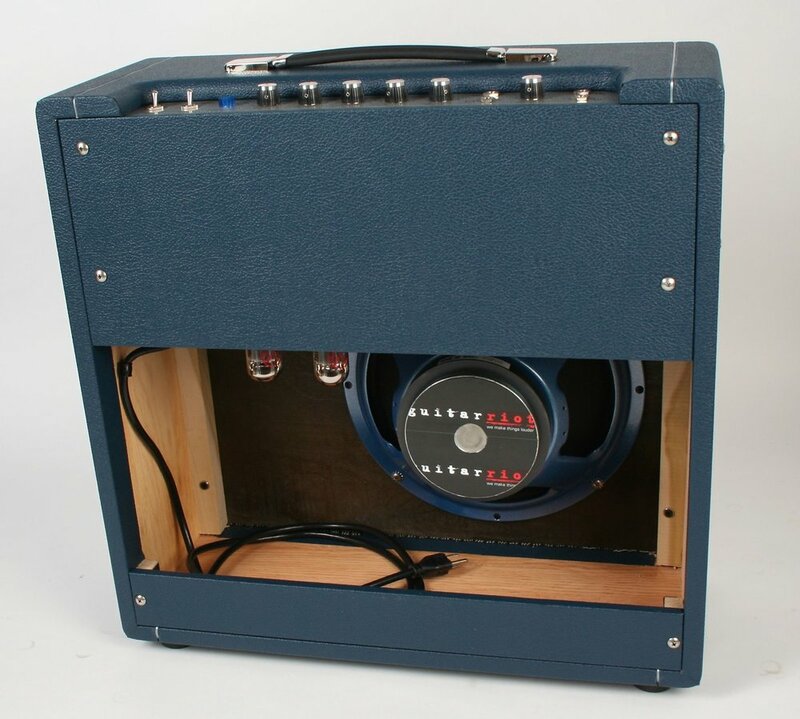 Featuring a custom voiced speaker modeled after the Celestion “Pulsonic” speakers found in 60’s and 70’s era British amps, the 50 Combo is easily miked on stage or in the studio.